After the 1998 HIMSS conference in Orlando, I suffered through a month of some difficult stomach pains. I initially attributed the pain to stress and Popeye’s spicy chicken. Ultimately, I found out that the pain was a result of ulcers caused by H. pylori bacteria. The use of an antibiotic solved the problem and eliminated the discomfort. Thank goodness for the discovery of H. pylori-caused infections and for the cure. It is valuable to know that the H. pylori discovery happened more than 15 years before the bacteria was accepted as the true cause of many ulcers. The belief, or perception, that most ulcers had a very different cause with mostly ineffective cures, persisted for decades — and this type of thinking has hardly been limited to infectious disease management. In the October 2015 Interoperability study, our CHIME panel of CIOs included a great question that provided valuable findings to help eliminate misinformation and help you understand where perception matches reality. Interoperability (IO) energy from lawmakers, federal agencies (e.g. HHS and ONC), associations, collaborations, and competitive vendors establishes a perception that begs clarity around the performance and ability of different vendors in sharing patient data with outside provider organizations. The best way to validate these perceptions was determined to be an actual measurement. Healthcare providers were asked about their general perceptions as to which vendors struggle the most with IO. It was not surprising that Epic received three times as many votes as the next most-mentioned vendor (44 percent for Epic versus 15 percent for eClinicalWorks and 13 percent for Meditech, and the remaining vendors were much lower); that was not surprising due to the prominent role that the press and competitors have in describing what providers perceived to be the truth. In July of 2014, Rep. Phil Gingrey, MD, (R-GA) focused on Epic during a House Energy and Commerce Committee hearing, stating the possibility that “fraud is being perpetrated on the American people.” The same year, RAND Corp. published a report calling Epic a “closed system” relative to IO. The Federal Trade Commission made public their intentions to monitor EHR vendors, seeking to spot any efforts to impede IO progress. The FTC capped off their stated concern by suggesting possible legislation aimed at penalizing vendors determined to be impeding the flow of patient data. What, if anything, did our IO study results clarify? eClinicalWorks is perceived to struggle with IO (second highest percentage), and actual provider experiences validate that the perception is accurate. eClinicalWorks was ranked last by providers on ease of connecting and overall IO capabilities. Meditech shared the limelight with eClinicalWorks and was voted least effective to connect with by their competitors and next to last on ease of connecting and overall IO capabilities by actual providers with hands-on experience. The real clarity, and a surprise to many, is that while 44 percent reported a market perception that Epic struggles with IO, providers and competing vendors with actual Epic experience voted Epic the most effective to connect with. 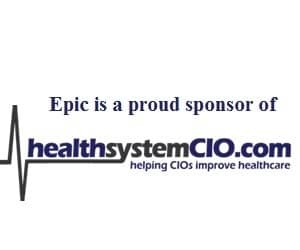 Tied with athenahealth for the best overall ratings by providers, Epic was tagged the best in five of the eight measurements, including vendor proactivity, commitment to industry standards, working with other vendors and standards, minimizing costs, and maintaining IO during upgrades. Epic also tied with athenahealth on ease of connection setup. The crowning confirmation that Epic is, indeed, the industry leader comes from their peers, as five of nine choose it as the most effective to work with. While the perception of two of the vendors (eClinicalWorks and Meditech) is accurate, the perception of Epic is not. Having done more than 30 of the 250-plus provider interviews myself, I found that the overall perceptions were routinely followed by the provider clarifying vendor ratings, helping me personally to better understand the overall context. The findings are clear. Just as H. pylori is actually the bacteria that causes most ulcers, Epic, despite being perceived to struggle with IO, actually shares patient records equally as well as or better than any other EMR vendor in the market. Making Sense Of CommonWell: What Can Users Expect?